Our events would not be possible without the support of our generous sponsors. Our annual festival is a predominantly free, grass-roots, community event that gives music fans and community members the opportunity to enjoy world-class music, with a focus on local and independent talent from the blues and roots genres. Bendigo Blues & Roots Music Festival Inc. seek sponsorship contributions in order to continue to provide quality and free events to the community. 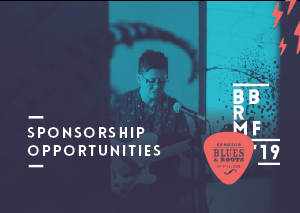 If you would like to offer your support in the form of sponsorship to the Bendigo Blues & Roots Music festival, please get in touch.